The Supreme Court today reserved its judgement on a petition challenging the validity of the Competition Commission, which will replace the Monoplies and Restrictive Trade Practices Commission. 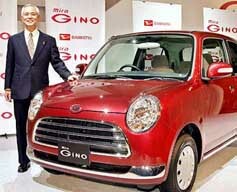 President of Japanese carmaker Daihatsu Motor Takaya Yamada displays the new mini car, Mira Gino, equipped with a 660cc ultra low-emission engine and a classically designed body at a Tokyo hotel on Monday. Daihatsu will put it on the market on Saturday, December 4, with a price ranging from 9,40,000 yen ($ 9,000) to 1.32 million yen ($ 12,800). The Civil Aviation Ministry will elicit the views of bidders for modernisation of Delhi and Mumbai airports early next month before finalising the draft to invite final technical and financial proposals from them, Aviation Secretary Ajay Prasad said today. The Planning Commission has submitted a proposal to the Finance Ministry for raising Rs 70,000 crore for the infrastructure projects in the country in the next three years by using the burgeoning foreign exchange reserves. Foreign Institutional Investor Warburg Pincus International LLC will pick up 2.75 per cent stake in Kotak Mahindra Bank for Rs 75.9 crore, subject to shareholders’ approval. After a rise in the interest rates on home loans, the booming construction sector has hit another road block — steep rise in price of bricks, the basic raw material, by over 50 per cent within two months, from Rs 1,400 to over Rs 2,200 per thousand in the northern region. The Finance Ministry has issued instructions to all the Commissioners of Central Excise and Service Tax to issue notices to service providers who are rendering taxable services relating to marriages and not paying due service tax on the full value of services charged by them from their customers. Mindtree Consulting, an international IT and R&D services company, today announced its plans to start its development centre in Hyderabad. The board of Reliance Energy Ltd (REL) will meet on Tuesday to consider the resignations of six directors who quit last week. The six directors resigned amidst a war of words between Mukesh Ambani, Group Chairman, Reliance Industries Ltd and his brother and vice-chairman, Anil Ambani. The markets were, however, hopeful of a patch-up between the two with neither of the brothers making fresh charges today. Emissaries from the industry and religious leaders were said to be busy trying to bring peace in the country’s biggest business family. The bulls were back in the rings today and scrips of all Reliance group companies showed momentum after touching bottom in intra-day trades. The markets today breached the 6,100 level to close at a new 11-month high. At close, the Sensex was at 6,157 with a whopping gain of 122 points. The Nifty was up 38 points to close at 1,939. Counters of banking, technology, auto, textiles, steel scrips were active during Monday’s trade. ICICI Bank, Maruti and Tata Motors led the rally gaining more than five per cent. Tisco, HPCL, HLL and Wipro also gained from the bullish sentiments. Shares in Reliance Industries Ltd. closed at Rs 508.80 after touching a low of Rs 487. Reliance Energy was down marginally at Rs 555.30 after bouncing back from Rs 526. Meanwhile, the Securities and Exchange Board of India (Sebi) is closely monitoring all listed Reliance group entities, Sebi Chairman G N Bajpai told reporters on the sidelines of a seminar today. As the investor base of Reliance Group entities runs into millions, the developments in the group companies are of interest to the regulator and stock markets, Mr Bajpai said. The market regulator is taking care that there are no systemic problems, Mr Bajpai said. He, however, did not provide details on what Sebi proposed to do in the matter. Mr Bachchan, who is close to Reliance Vice-Chairman and Managing Director Anil Ambani, told UNI on the sets of ‘Waqt - Race against Time’ here that “there is no question of me stepping in to mediate.” When asked whether he would advise friend Anil on the issue, the Big B replied in the negative, saying, “I do not like, neither will I ever, interfere in other’s family matters.” Mr Bachchan also refused to comment on the tussle between the two brothers on the ownership of the Reliance empire. The validity of the Competition Commission Act, passed during the NDA regime, was challenged in the apex court on the ground that it has provided for setting up of the Commission by encroaching upon the powers of the judiciary. A Bench of Chief Justice R C Lahoti, Mr Justice G P Mathur and Mr Justice P K Balasubramanian reserved the verdict after a marathon arguments on the issue, during which the court made certain strong observations against the government’s stand. Interestingly, the UPA Government had proposed to make only slight changes in the Act stating that the Competition Commission would be headed by an expert instead of a bureaucrat. The court had taken serious view of the existing provision in the Act and appointing former Commerce Secretary Dipak Chatterjee as its head. 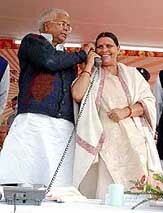 Though Chatterjee had not assumed charge in the wake of Supreme Court issuing notice to the Centre, the UPA Government in its affidavit stated that the expert to head the body, would be appointed by a committee to be headed by a former apex court or high court judge with at least two members from judiciary. The government had further said that there would be an Appellate Commission, to be headed by a retired judge, to hear appeals against the Commission’s orders. Senior advocate R K Jain, who appeared for petitioner Brahm Dutt, said the status of the Competition Commission as proposed by the government, would be without judicial powers and it was not clear whether the proposed amendment would be passed by Parliament. Centre’s counsel Vivek Tankha said the Commission has to be in place by the end of this year to meet the January 2005 deadline set up by the WTO. He claimed that the proposed amendment in the Act was in line with the changed global scenario. “Our technical advisors are preparing detailed financial documents as a part of an information memorandum to be given to the short listed parties to enable them to file their technical and commercial bids,” Mr Prasad told aviation chiefs of Saarc nations at a conference organised by the International Civil Aviation Organisation (ICAO) and the Director General of Civil Aviation (DGCA) here. “We are inviting them early December to a free-bid conference to enable them to give their views,” he said. He also said a proposal on final price negotiation process for Indian Airlines’ fleet acquisition programme would be taken to the Union Cabinet soon for its approval. The IA has decided to acquire a mix of A-319s, A-320s and A-321s, totalling 43 planes. He also said the government would consider investments by foreign individuals in domestic airlines, including any by British billionaire Richard Branson who owns most of Virgin Atlantic Airways, civil aviation secretary Ajay Prasad said today. “Anybody as an individual can invest but a foreign airline can’t,” he told reporters after attending an industry seminar. Mr Prasad said any investment by Mr Branson as an individual need not be considered as that of an airline. “But we’ll have to examine the issue in detail to see whether it is a surrogate investment (by Virgin Atlantic) or not.” Two days ago, Branson told a news conference that he was looking to buy between 25 to 49 per cent stake in an Indian airline in his individual capacity. “We can raise up to Rs 23,000-24,000 crore every year for the next three years for the infrastruture projects by using foreign exchange reserves,” Planning Commission Deputy Chairman Montek Singh Ahluwalia said at an interactive meeting organised by All-India Industries Association here. The use of foreign exchange reserves for infrastructure projects would put more money in the economy, but would also lead to an increase in fiscal deficit, he said. 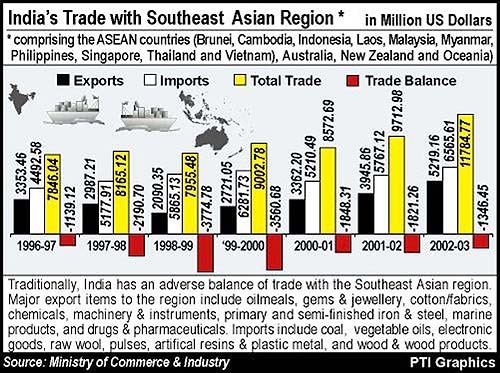 However, this increase in fiscal deficit could be neutralised by allowing more imports, he added. The board has approved a proposal to issue 33 lakh equity shares at Rs 230 per share to Warburg Pincus on a preferential basis aggregating Rs 75.9 crore, Kotak Mahindra Bank said in a release here today. The equity shares issued on preferential basis would have one year lock-in period, it said. Indian Oiltanking Ltd (IOTL), a joint venture of Indian Oil Corporation and Oiltanking GMbh, Germany has acquired 54.9 per cent stake in Stewarts & Lloyds of India Ltd from Tata Steel and associates. The prices are further expected to increase as majority of about 50,000 brick kilns across the country have stopped production since October 1 to protest against the Government’s decision to make it mandatory for them to use 25 per cent fly ash in brick making as per the decision of the Delhi High Court announced on August 5, 2004. The brick kiln units are selling previous year’s stocks, which may come to an end soon. The condition may worsen, as it would not be possible for at least two months to resume supply in this seasonal industry. In fact, feeling the shortage, some states, including Haryana, have banned the movement of bricks and trade to other states, besides asking the brick kiln owners to reserve the material for government projects. Consequently the construction activity in Delhi, Punjab and other states has been adversely affected. The Court has reportedly given a ruling on a PIL asking the government to make it mandatory for brick kilns falling within 100 km radius of thermal plants to use 25 per cent fly ash in brick making, produced by the plants. Over 30,000 brick kiln units have been affected by the decision, including brick kilns in 17 districts of Punjab, and in all districts of Haryana. The real estate experts claimed that construction costs have gone up by over 10 per cent following the rise in brick prices and home loan interest rates. “A majority of brick kiln owners have decided to close down their kilns since October 1 in protest against the impractical decision that had resulted in sharp increase in cost of production, besides health hazard for the labour,” Mr R.P.S. Chandel, President, All India Brick & Tile Manufacturers Federation, said. He disclosed that they were not against the use of fly ash, but the decision could not be implemented since it was not possible to mix 25 per cent fly ash in soil, especially in the Northern states due to the alluvial nature of the soil. The Federation has announced to hold a protest here tomorrow to press upon the government to set up a working group to find a solution, besides asking for supply of coal at reasonable price. The Central Excise and Service Tax officers have been directed to keep a strict vigil on the service providers who are rendering taxable services during the busy marriage season. The taxable services relating to solemnising of marriages are mandap keepers, pandal and shamiana keepers, outdoor caterers, photographers, video-recording services, beauty parlours, travel agents, tour operators and rent-a-cab operators. These service providers have been requested to collect Service Tax at the rate of 10 per cent and education cess at the rate of 2 per cent from their customers and deposit the same in the bank. These service providers have been warned that if they do not collect the due service tax from their customers and deposit the same, they would be liable to penal action. The premises of such service providers may be surveyed and searched, the Finance Ministry has warned. The second development centre of the company in the country is expected to be operational with an initial staff of 250, which will be doubled in a year’s time. Mindtree Consulting is headquartered in Bangalore. “Hyderabad was a natural choice for us due to its large and high-quality talent pool in technology and the initiatives of the state government in creating a positive environment for the software companies,” Ashok Stooa, Chairman and Managing Director of the company said. The company would invest $ 100 million over a period of five years in the Hyderabad facility, he revealed. The company is in the process of identifying a location in Hyderabad, which was expected to be operational by March next year. The company’s projected earnings this year stood at $ 50 million. “We have witnessed 60 per cent growth rate during the past two years, which is double the average of the industry growth rate,” Subroto Bagchi, chief operating officer of the company said.